Do you like solving technical problems? Are you good at science and math? You might consider becoming an engineer. Engineers are problem solvers who use their expertise in science and math to do their jobs. They work in various branches of engineering. Let's take a look at several of them. Before you go any further, find out if a career in engineering is for you. In 2016, 1.6 million people worked as engineers, according to the National Occupational Employment and Wage Estimates. Most of them were electrical and electronics engineers (315,870), mechanical engineers (285,790), civil engineers (287,800), and industrial engineers (281,950). Job outlook differs by branch. The U.S. Bureau of Labor Statistics predicts civil and petroleum engineers will experience employment growth that is faster than the average for all occupations through 2024 while employment of biomedical engineers will increase much faster than the average. Chemical, electrical and electronics, mining and geological, and mechanical engineers will have job growth that is as fast as the average for all occupations. Employment of industrial engineers will change little or not at all and materials engineers' job growth will be slower than the average for all occupations. To get an entry-level job, you will need a bachelor's degree in engineering. Sometimes a college degree in physical science or mathematics will suffice, especially in high-demand specialties. 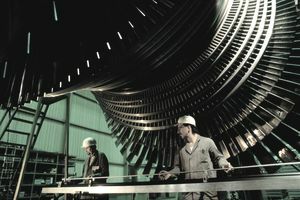 Some students specialize in a particular branch of engineering but then work in a related one. You will have to get a state-issued license if you want to offer your services directly to the public. Doing this will allow you to be called a Professional Engineer (PE). To become licensed your college degree must come from a program that is accredited by the Accreditation Board for Engineering and Technology (ABET). You also need four years of relevant work experience and must pass a state exam. Requirements vary by state. In addition to your education and an aptitude for math and science, you also need specific soft skills, or personal qualities, to succeed in this occupation. Active Listening and Verbal Communication: These communication skills are essential for working on teams, which will be a significant part of your job. Critical Thinking: You will need to use logic when testing products and solving problems. Reading Comprehension: You must have the ability to understand written documentation. Active Learning: You must be able to incorporate new findings into your work. After entry-level engineers gain experience and knowledge, they may work more independently, making decisions, developing designs, and solving problems. With further experience, they may become technical specialists or supervisors over a staff or team of engineers or technicians. Eventually, they may become engineering managers or may move into other managerial or sales jobs. "Strong communication and interpersonal skills are required"
"Ability to organize work and deliver on time work products"
"Goal-oriented, able to set goals and achieve them"
"Ability to take ownership of assigned tasks in a timely manner, and learn new principle ideas and concepts"
"Organized, self-motivated, and detail-oriented, with the ability to adapt quickly in a fast-paced, deadline-driven environment"
"Ability to read and interpret product drawings"
Can You Fish for a Living?